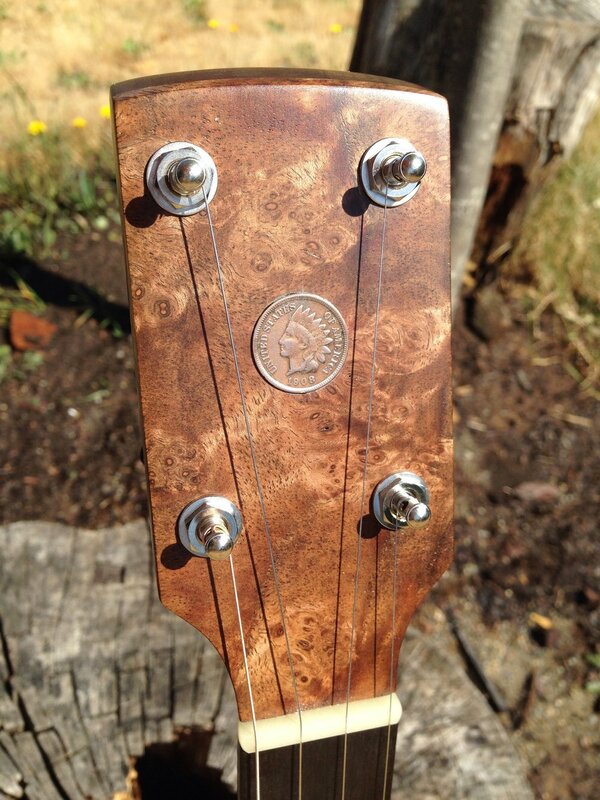 This is a 16 shoe Spartan with a walnut neck and cherry rim. Burl peg head overlay and a figured walnut rim cap. 1/4" brass tone ring. 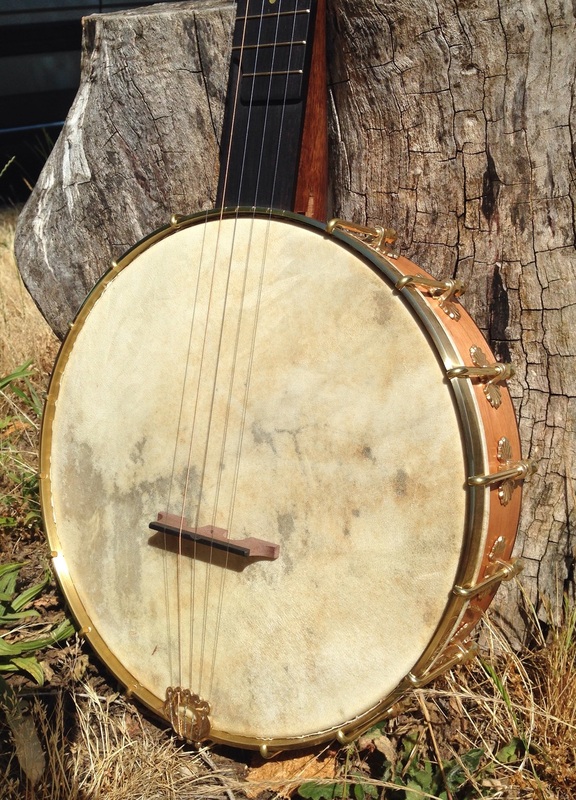 This banjo is going to a customer here in Portland.